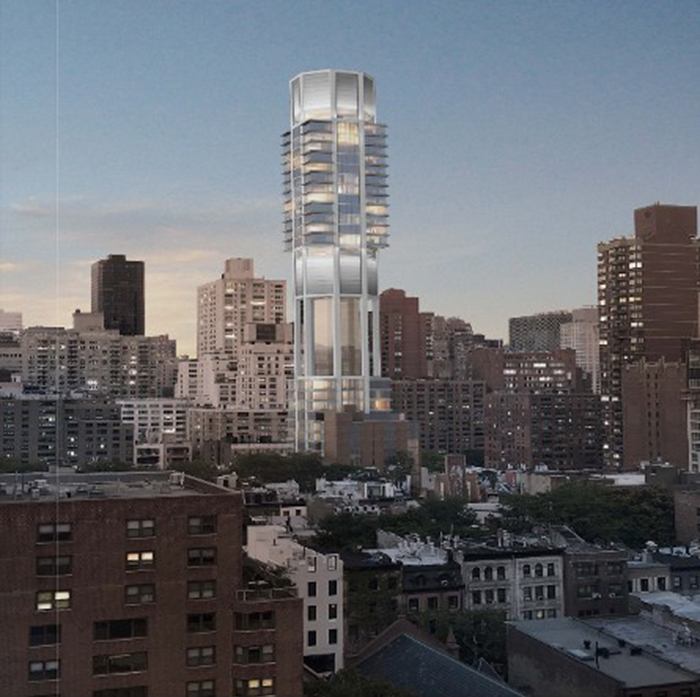 The first rendering for a Rafael Viñoly Architects-designed residential tower at 249 East 62nd Street in Manhattan has been unveiled, and it looks like the building will feature rings of upper-floor condo units arranged around an octagonal core for maximum views. While the rendering of 249 East 62nd Street recently surfaced on the website of the Hudson Meridian Construction Group, the contractors responsible for building the tower, the building’s odd massing had been making the rounds after the Department of Building’s original approval in September of last year. At 510 feet tall and only 32 stories, Viñoly’s tower will telescope upwards in the middle, resulting in two disparate sets of upper and lower living areas. By shunting the mechanical spaces to the 13th through 16th floors and boosting the upper half of the building, the top floors will be able to see well over their neighbors and into Central Park, as well as across the East River. Grey concrete columns will run from the building’s base to the roof along the angled edges of the eight-sided superstructure. The building’s base will contain a townhouse and 2,588 square feet of retail, while residential units will rise until the 12th floor. After the extending “stem” portion, floors 17 through 29 will contain three units each, and it’s expected that the prices of each will rise in tandem. At 98,526 square feet of residential space, the more expensive units at the top will average well over 1,200 square feet each, andwith 83 apartments listed for the building in total, the remaining units in the bottom half will likely be more densely packed. 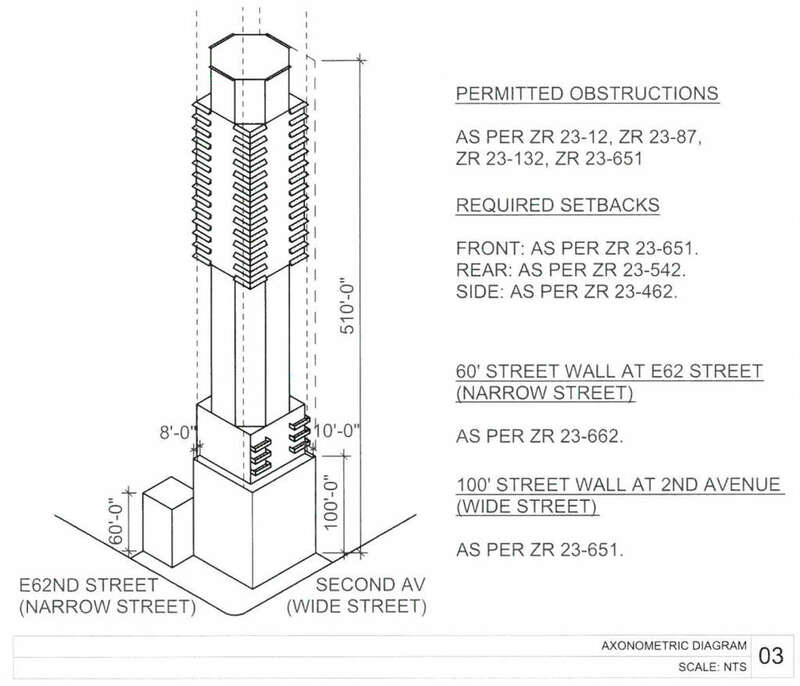 The compression is likely the result of Viñoly trying to design around New York’s zoning codes; in this instance, 55 percent of the floor area must be located below 150 feet. Developers Real Estate Inverlad and Third Palm Capital are funding the tower. While no completion date has been announced, construction permits were issued at the end of 2017, so work should be starting shortly.